Dara is the founder and Co-President of Transformative Alliances LLC. 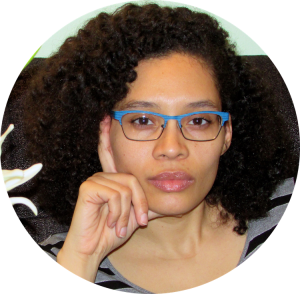 She has formally worked as an anti-oppression and equity consultant for eleven (11) years, and has guided trainings, discussion groups, and other anti-oppression activities for seventeen (17) years. She has designed and conducted more than 200 workshops for over 100 organizations, facilitated anti-oppression planning sessions, provided executive and group coaching, facilitated caucuses/ discussion groups, conducted assessments and evaluations, developed tailored and specialized curricula, and earned her certificate in mediation. Dara’s work has encompassed both continuing and short-term projects, customized to suit each organization, and is specifically trained in Theater of the Oppressed and Community Counseling techniques. Andy hails from the Deep South where they cut their social justice teeth before moving to Colorado in 2005. Andy has since worked & volunteered time in advocacy groups, basic needs nonprofits, and government organizations. Their Colorado history spans issues like anti-racism, feminism and anti-sexism, LGBTQIA wellness, economic justice, and more. Their work has focused on training and program evaluation, streamlining internal processes, and improving service accessibility. After 12 years in the nonprofit sector, Andy seeks additional inspiration in the nonhuman, natural world. Through recent studies in Horticulture at Front Range Community College, Andy envisions an equitable community combining anti-oppression ethics and healing relationships with local lands. Nicole is the Co-President of Transformative Alliances LLC. He brings 25 years of social justice and community organizing experience to her work as an anti-oppression trainer, consultant, and coach. He works with communities, individuals, and organizations, and has conducted trainings, workshops, classes, assessments, evaluations, planning processes, organizational development work, curricular development, individual and group coaching sessions, identity-based caucus work, and other customized consulting services. Nicole is also a trained Theatre of the Oppressed practitioner. Nicole’s activism has been most rooted in solidarity/coalition work, with an emphasis on immigrant rights, economic justice, and anti-racist organizing (in both LGBTQ and broader communities). She has worked in collaboration with professional colleagues, a range of activist groups across the country, and community members to lead campaigns for health care reform, police accountability, and equal language access in voting, to name a few. Joy is the founder and principal of Connected Realities, LLC. She has 20 years experience as a passionate and effective community planner and collaboration specialist with a focus on effective communication and conflict transformation. 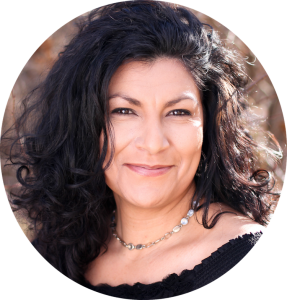 Joy is an experienced facilitator, mediator, and trainer who assists nonprofit organizations, businesses, local governments, and other groups. Joy’s commitment is to help people find and use their inner power, potential, and passion to make positive changes in their lives, and help people translate individual power into collective action through collaboration. Her passion is about bringing people together to hear and understand each other and to work together to create solutions that last. Joy employs the skills of radical listening, shared understanding, and respectful dialogue to facilitate a shift in the process by which people have conversations about complex issues. Mac Liman was born and raised in Colorado. She is passionate about organizing people around privileged identities — especially young people who, like her, have class privilege. She is honored to have done this work with beautiful cross-class, multiracial communities since 2005 with Resource Generation and since 2007 with the Chinook Fund. 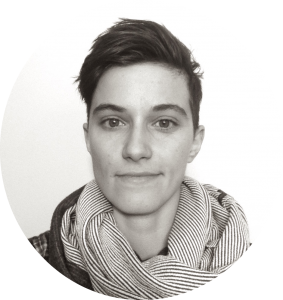 In addition to training, facilitating, and moving her people towards collective action, Mac is a bicycle mechanic (so she also has tangible tasks that can be fixed with her hands). Mac lives with many of her favorite people in a shared community home and likes being a good neighbor, asking questions, and telling stories that expose the myth of the U.S. meritocracy. Lynne brings over 20 years of social justice and community organizing experience to her work as an anti-oppression trainer and consultant. 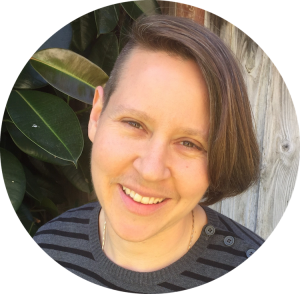 After moving to Colorado from Texas, Lynne has worked extensively with community groups on building and advancing intersectional frameworks, which has deepened her commitment to broad community work rooted in anti-oppression and liberatory values. 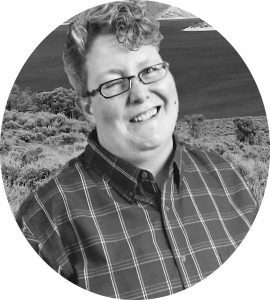 Lynne serves as the Director of Advocacy and Co-Executive Director at Survivors Organizing for Liberation (SOL), an organization that fights for safety and justice for LGBTQIA survivors of violence. 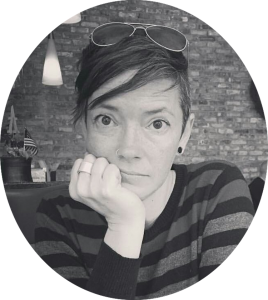 Prior to SOL, Lynne was the Director at a Colorado-based safehouse and under her leadership the organization changed their gender-based policy to include survivors of all genders while expanding their framework to include a social justice lens. Lynne has developed curriculum for graduate-level courses on Intimate Partner Violence, Community Organizing, Power, Privilege and Oppression for the Graduate School of Social Work at the University of Denver, where she has taught for the last 10 years. Lynne is a co-founder of the Denver chapter of Showing Up for Racial Justice (SURJ), an organizing group working to move white people to act as part of a multi-racial majority for justice and is also an active organizer/founding member of the Denver Area Transformative Justice Collective, which addresses interpersonal violence using community-based interventions. Theresa is a community organizer with decades of experience in facilitation, deepening community engagement, and campaign management. She understands that community organizing is something we build and create – it does not just magically happen. She relies on the power of storytelling and relationship building as a means of transformation. 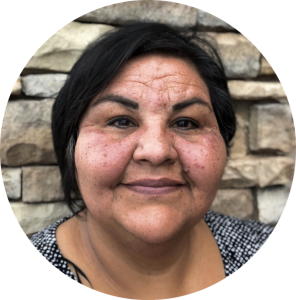 Theresa’s passion for power building within marginalized communities has guided her to engage in disciplined, strategic practices to build democratic and collective power, and to assure conditions in which a community can thrive. Her activism is rooted in her local community and she deeply appreciates the unique opportunity to organize in the community where she was born and raised. When she’s not fist-pumping for a local cause, Theresa can be found whipping up simple meals in the kitchen or curled up with a good book.